Thanks so much to D'Nique Gonzales for commissioning this episode. 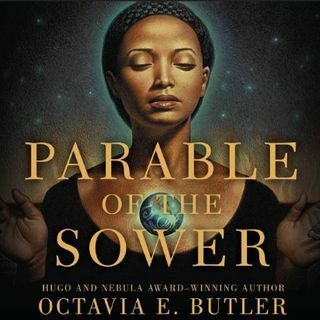 This is my first foray into Octavia Butler's work, and she really knows how to paint a terrifying picture. I did a live, on-camera read of the chapters this episode, and it wasn't easy to just read through some of the sentences in this opening section without stopping for a breather. The descriptions of poverty, violence, and hopelessness really are upsetting. Jesus Christ. If you haven't read this ... See More book, you can get a preview by listening to me read these chapters and decide if you want to pick up the book yourself and follow along. Thank you again for your support, D'Nique, and for being my very first commission!